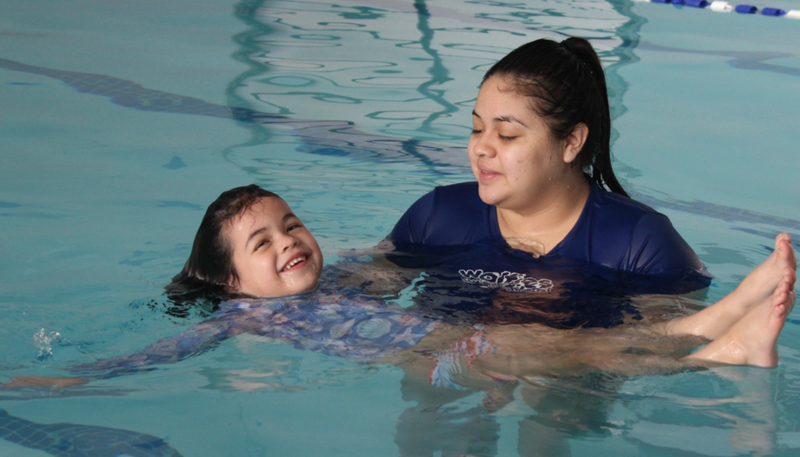 Wolfies Swim School has a new student and her name is Macy Silianoff. Weighing in at 39 pounds, 5 years of age, and panache for feral behavoir - the school has their work cut out for them. Located in the heart of Bellaire, Cindy Meador (whose maiden name is Wolf) owns her namesake school with her fireman husband, Richard. 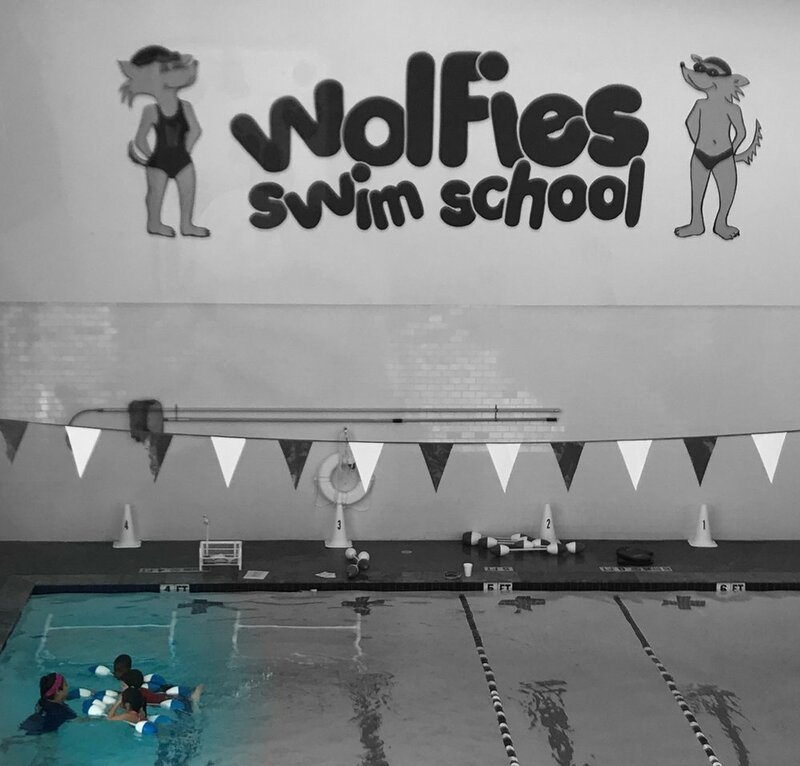 The couple has four kids under the age of seven and their family embodies the Wolfies brand which boasts community, philanthropy, and of course - swimming. Cindy and Richard are marketing geniuses for two reasons. One - they hired us (Mad Meg) to manage their social media (#plug) and two, their proof is all in the pudding. All four of their kids are fish. Within the Mace Monster's very first lesson at Wolfies (she's now two lessons in) she's already made gains. Wolfies is the only swim school we've been to that utilizes these "barbells" and her spastic dog paddle has already began to morph into something resembling a stroke. Which means my strokes at the pool this summer will be less frequent. What I've failed to mention is that Macy's overwhelming optimism allows her to do things such as jump in the deep end, jump off a diving board, and for a non-swimming related example; jump into a busy street of oncoming traffic, thinking that things will seemingly work out just fine for her. This summer at the pool I have dreams of giving my book du jour and @goatsofanarchy instagram feed my undivided attention knowing Macy's swim game is a la Michael Phelps!! Apparently Wolfies can't make you a good parent....but it will enable you to parent poorly more safely. *For updates on Macy's progress, stay tuned to Wolfie's instagram feed and this blog. Continuous updates to follow.